I know the Megaboss is a popular choice amongst painters, and we've seen it on here a few times already, but there's no denying the quality of this one. I love the color choices. The dull black and yellow look great together. 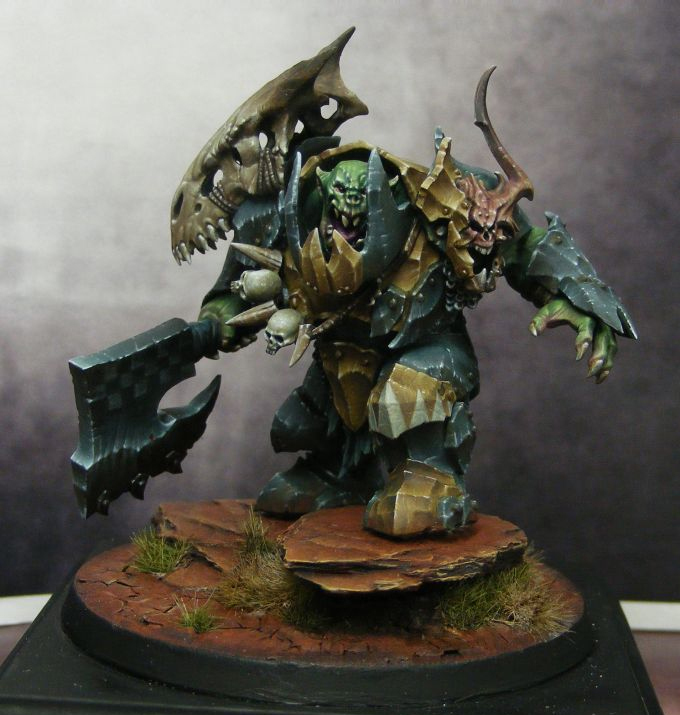 They are similar to the "official" Ironjawz scheme, but a little more sombre. They have painted this in a very desaturated manner too, which makes for a more realistic look. 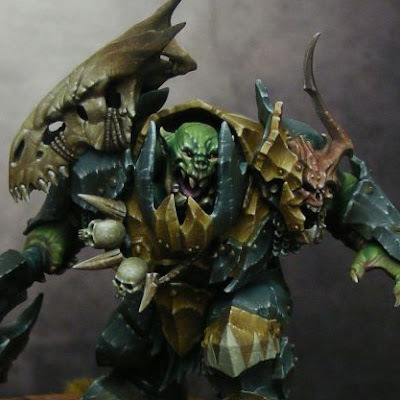 All of the painting is crisp and the blends are nice and smooth. The weathering on this is just the right amount as well. There's a lot of it, but it's all tiny enough that it doesn't overwhelm the model. I really like the freehand designs there have done on the armor as well. It has a strong graphic design feel to it, which I always think looks cool on models. 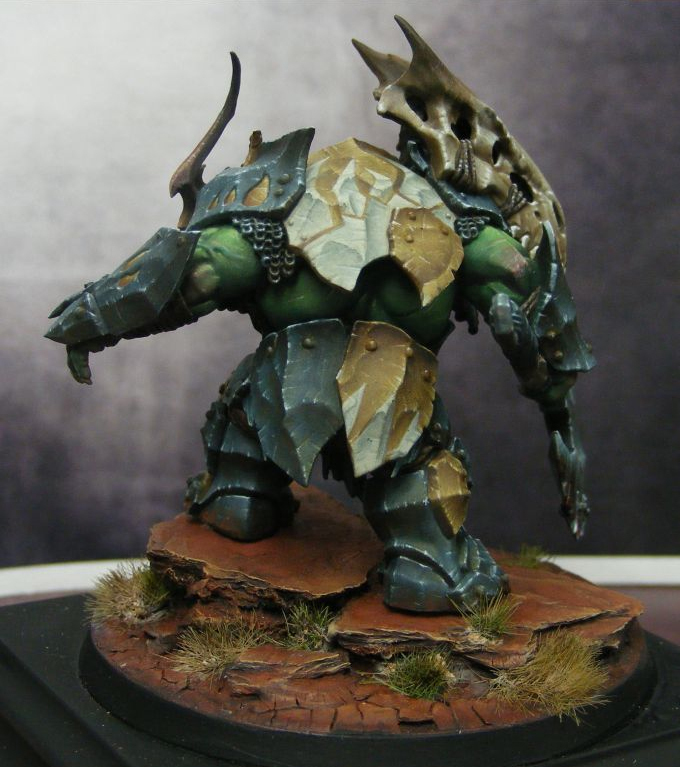 At the same time, it looks like something an orruk would realistically paint on their own armor and be something within their skill set. Using a light cream against the yellow makes it stand out, but not overly so, again, leading to a nice subdued look. Lastly, the use of a red earth for the base is something we don't see often, but looks great and frames the model without distracting from it. It's a realistic red earth too, feeling like something we would find on our own world, and not a martian landscape.